What is the Northwest Center for Fluency Disorders Interprofessional Intensive Stuttering Clinic (NWCFD-IISC)? What is the NWCFD? The NWCFD is a research, clinical and support center dedicated to individuals with fluency disorders. Our research ranges from theoretical and conceptual neural network modeling to applied effective means of inhibiting disfluencies and dealing with emotional and social aspects of fluency disorders. The NWCFD also offers a two-week interprofessional intensive stuttering clinic for adolescents and adults who stutter, which is a collaborative effort between the Departments of Communication Sciences and Disorders and Counseling at Idaho State University. This unique clinic is the first of its kind in the world that has Speech Language Pathologists and Counseling working together to treat the holistic needs of clients who stutter through Acceptance and Commitment Therapy (ACT), a mindfulness-based mental health approach. Lastly, we also offer local through international resources and support mechanisms for individuals with fluency disorders and their families. Where are we located? 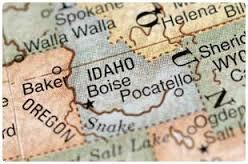 The center is located in Pocatello, Idaho and is supported by Idaho State University’s Department of Communication Sciences and Disorders and Division of Health Sciences. Northwest Center for Fluency Disorders Interprofessional Intensive Stuttering Clinic (NWCFD-IISC): July 28th-August 10th, 2019 typically from 9am – 5pm daily. This one of a kind interprofessional clinic is the first in the world to have Speech Language Pathologists and Counselors collaborate to co-treat the holistic needs clients who stutter. It is offered through a collaboration between the Departments of Communication Sciences and Disorders and Counseling at Idaho State University. Treatment is conducted based on Acceptance and Commitment Therapy (ACT), a mindfulness-based mental health approach to holistic stuttering therapy. Each client is paired with one second year graduate student in Communication Sciences and Disorders (i.e., Speech Language Pathology) and Counseling to work with them throughout the entirety of the two-week clinic. Student clinicians are supervised by nationally recognized Speech Language Pathologists and Counselors and leading academicians. Clients and students take a team approach to understand, accept, and effectively manage thoughts, emotions, and behaviors related stuttering through generalized experiential activities, group education and discussion, and individual and group therapy. 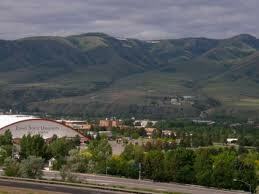 The clinic includes participation in a high adventure course, generalization around the ISU and the Pocatello community, and through group trips to Idaho Falls, Jackson WY, Grant Teton National Park, Yellowstone National Park, or Sun Valley ID. How are we supported? We are supported in part by the Brenda Bertsch Malepeai Memorial Fund through the Idaho State University Foundation, Malcom Fraser Grant funds, and other generous donors including our staff, including their time and money. Donate – to the Northwest Center for Fluency Disorders (NWCFD). 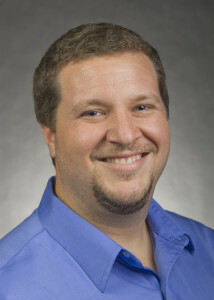 Daniel Hudock, Ph.D., CCC – SLP is the director of the center. Dr. Hudock is a faculty member in the Department of Communication Sciences and Disorders at Idaho State University, is a person who stutters, and has his American Speech-Language and Hearing Association clinical certification in Speech-Language Pathology. © 2019 Northwest Center for Fluency Disorders.